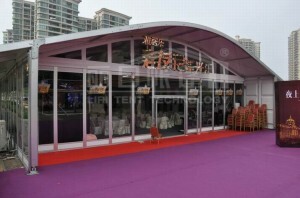 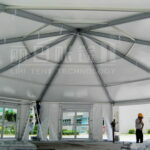 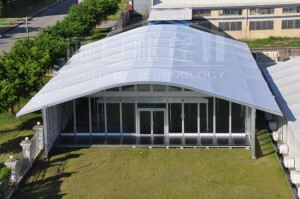 The Arcum Tent for sale is composed of high reinforced aluminum frame and PVC covers. Arcum tent is based on the “A” frame clear span tent design and reasonably absorbs the Chinese traditional architectural design elements. 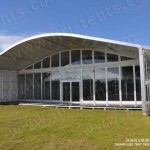 We pre-press the aluminum roof-beams so that it can become the curve shape. 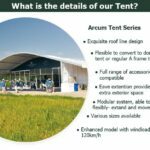 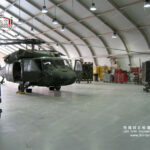 The characteristics of the Arcum Tent for sale will include a good-looking structure with a beautiful roof line and a lot of space inside the tent. 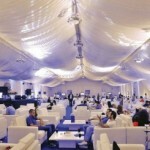 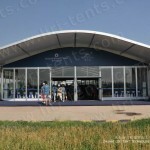 It will also give you a feeling of currency to use it for big tents, exhibitions, or for a temporary showroom.